Send a welcome present for any and all occasions! 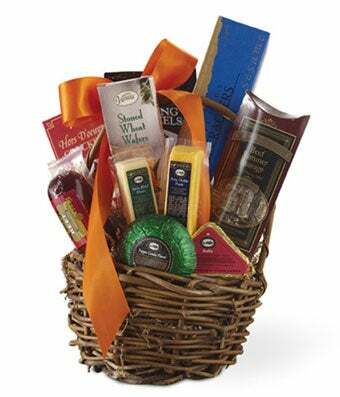 The Gourmet Party Basket makes a great congratulations gift, thank you gift, holiday gift, business gift and more. Filled to the brim with the finest foods including sausages, cheeses, crackers, pretzels and tied with a bow, your recipients will be more than satisfied and grateful for this gift! Please note: contents may vary.